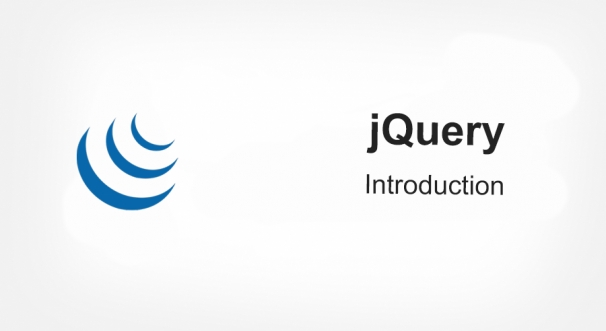 Introduction to Adding jQuery to Your Web Pages with example. In this tutorial, you will learn how to add jQuery to your web pages. There are several ways to start using jQuery on your web site. Introduction to jQuery Syntax with examples. In this tutorial, you are going to learn jQuery Syntax. Using the help of jQuery you can select HTML elements and perform some action on the elements. Introduction to jQuery Selectors with examples. In this tutorial, you will learn jQuery selectors. jQuery selectors allow you to select and manipulate HTML elements based on their name, id, class, or types. Introduction to jQuery Events methods with examples. In this tutorial, you will learn jQuery Events methods. An Events represents, something happens on Html page when users take action through mouse or keyboard. Introduction to jQuery Hide and Show effects with examples. In this tutorial, you will learn Hide and Show effect in jQuery. With jQuery, you can hide and show HTML elements with the hide() and show() methods. Introduction to jQuery Fading Effect with examples. In this tutorial, you will learn jQuery fading effect. In jQuery, you can fade HTML elements using jQuery fading methods. Introduction to jQuery Sliding Effects with examples. In this tutorial, you will learn about Sliding Effects. The jQuery slide methods are used to create sliding effects of HTML elements up and down. Introduction to jQuery Animation - animate() Method with examples. In this tutorial, you will about learn jQuery animate() method. The jQuery animate() method is used to create custom animations. Introduction to stop() Animation method with examples. In this tutorial, you will learn stop() method in jQuery. The jQuery stop() method is used to stop animations, effects, or slide before it is finished. Introduction to jQuery Callback with example. In this tutorial, you will learn about jQuery Callback Function. In jQuery, A callback function is executed after the current effect is finished. Introduction to jQuery Chaining with examples. In this this tutorial, you will learn about jQuery method chaining. In jQuery, Chaining allows us to run multiple jQuery methods on the same elements. Introduction to jQuery Get Content and Attributes with examples. In this tutorial, you will learn how to Get Content with the jQuery methods. You can Get content using jQuery text(), html(), and val() methods. Introduction to jQuery Set Content and Attributes with examples. In this tutorial, you will learn how to Set Content with the jQuery methods. you can set content using jQuery text(), html(), and val() methods. Introduction to jQuery Add Elements with examples. In this tutorial, you will learn about jQuery Add method. In jQuery, you can add new elements or contents easily using some jQuery methods. Introduction to jQuery Remove Elements with examples. In this tutorial, you will learn jQuery remove elements. Using jQuery you can remove HTML elements easily with remove() and empty() methods. Introduction to jQuery CSS Classes with examples. In this tutorial, you will learn jQuery Get and Set CSS Classes. jQuery has several methods to manipulate CSS of elements. Introduction to jQuery css() Method with example. In this tutorial, you learn css() method in jQuery. The css() method sets or returns one or more style properties for the selected elements. Introduction to jQuery Dimensions with examples. In this tutorial, you will learn jQuery Dimensions Methods. You can work with the dimensions of elements and browser window using jQuery easily. Introduction to jQuery Traversing with examples. Introduction to jQuery Traversing Ancestors with examples. In this tutorial, you will learn jQuery Ancestors. An ancestor is a parent, grandparent, great-grandparent, and so on. Using jQuery you can find ancestors of an element. Introduction to jQuery Traversing Descendants with examples. In this tutorial, you will learn jQuery Descendants. A descendant is used to find children of selected element. A descendant is a child, grandchild, great-grandchild. Introduction to jQuery siblings() Method with examples. In this tutorial, you will learn jQuery siblings() methods. The siblings() method returns all sibling elements of the selected element. Introduction to jQuery Traversing - Filtering with example. In this tutorial, you will learn about jQuery Filtering. In Jquery, filtering methods are used to select specific element based on its position in a group of elements. Introduction to jQuery Ajax load() method with example. In this tutorial, you will learn about jQuery Ajax load() method. The load() method loads data from a server and puts the returned data into the selected element. Introduction to jQuery - Ajax get() and post Methods with examples. In this tutorial, you will learn get() and post() methods. The jQuery get() and post() methods are used to request data from the server with HTTP GET or POST request.